Yoast is one of the most popular WordPress plugins for a reason. It makes it super easy to edit your meta description and page title on each page, and these are the low-hanging fruit of ranking for SEO. But the plugin has a ton of extra functionality that will save you time and if you know what you’re doing, save you from doing more complicated work on your server. Following these tips will also help you avoid downloading extra plugins that will slow down your site. If you can do more on one plugin, why the heck not? Yoast makes it insanely easy to get into your .htaccess, which is awesome (and potentially scary if you don’t know what you’re doing). What you should do in here for every site is add your expires headers. Also, if you need to do any 301 redirect, this is place to do that as well. MAKE SURE YOU: Put everything OUTSIDE of #BEGIN WordPress & #END WORDPRESS – anything between those notes will get wiped out. If this sounds extreme, then you may not realize all of the little pages that WordPress makes – and then Google indexes. Yoast has fantastic bulk noindex options which allows you to ensure that an entire type of page will not ever show up in Google search results. For example – every “User” on your site can be indexed by their Author page. Every employee you add will also get their own page. 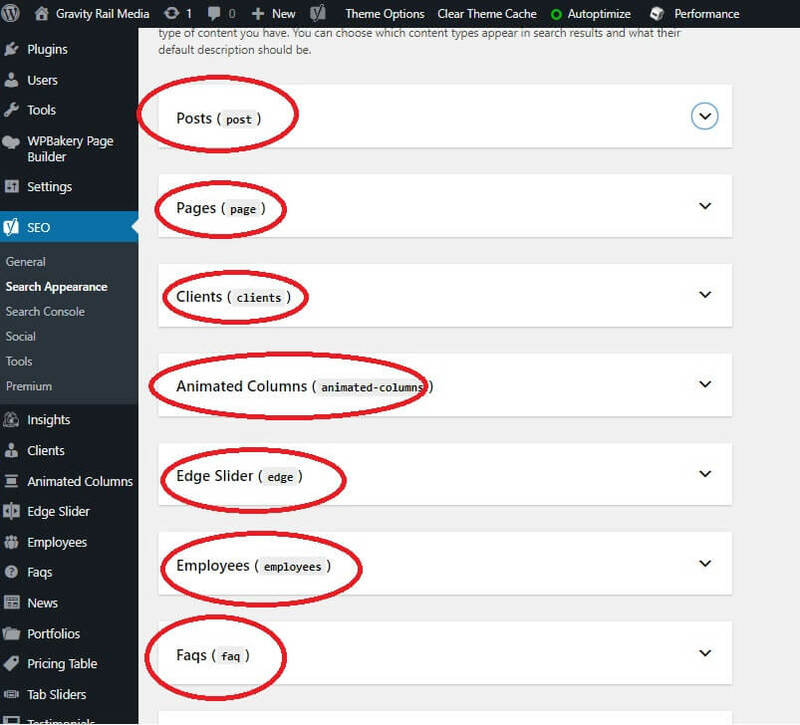 Each category and tag you make for your posts, whether you use them or not, will be indexed. Also, a lot of plugins create individual pages for their assets (see Edge Slider above). If you are fully fleshing these pages out, then great! But odds are, you aren’t, and that means you have a lot of thin content pages out there (not good). Before you touch ANYTHING, especially from a category level, to no index, make sure you think about it. It is highly unlikely you would want to set “Posts” or “Pages” to a default no index, as these will be the bulk of the actual site content. 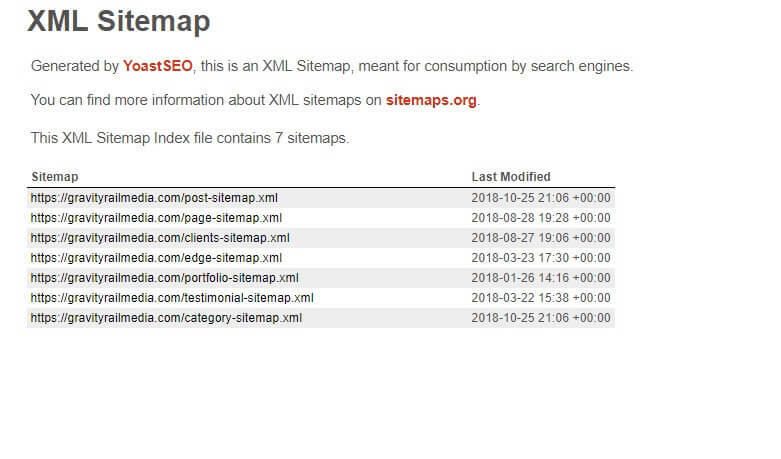 Yoast generates XML Sitemaps, which are important for the indexability of your site, and something you should be uploading to Google Webmaster Tools. If you go to yourdomain.com/sitemap_index.xml it should be autopopulated by Yoast. If you aren’t seeing anything, under Yoast click “General” and go to “Features” and make sure XML Sitemaps is switched to ON.